The RS Tera fleet joined the other RS Classes for the first time at the RS Classes End Of Season Championships at Datchet Water Sailing Club on Saturday 8th and Sunday 9th November. Saturday was at best described as changeable with wind ranging from 12 to 29 knots in the gusts, a fair chop on the water with the added pleasure of cold rain thrown in for good measure it was a day to test the mettle of all the fleets. The RS Tera fleet joined the RS Feva fleet on the Junior course, with 41 RS Fevas and 43 RS Teras it was pretty busy. The 15 boats in the PRO fleet started all races immediately after the RS Fevas with the 28 SPORTS next. PRO Race 1 saw Harry Jones of Draycote Water SC counting his laps correctly, resisting the temptation to follow the rest of the fleet, to take a well deserved win, he was followed home by Henry Collison of Royal Lymington YC and Henry Jameson of Hayling Island SC. PRO Race 2 was won by Henry Jameson, followed by Henry Collison, with Andrew Frost of Sutton Bingham SC taking 3rd. PRO Race 3 line honours were taken by Henry Jameson again, giving him a strong overnight lead, Harry was back at the front taking second with fellow Draycote Water sailor Harrison Pye completing the top three. SPORT Race 1 saw Ethan Miles of Emsworth and Hayling Island Sailing Clubs start his campaign in great style, followed home by Roscoe Martin of Ogston SC and Matthew Taylor of Alton Water SC third. SPORT Race 2 was Ethan's second win of the day, with Tom Storey of Ripon and Yorkshire Dales Sailing Clubs second and Rupert Jameson of Hayling Island Sailing Club third. SPORT Race 3, was a carbon copy for the top three of race 1, seeing Ethan finishing off with a perfect score line on day one taking the win ahead of Roscoe and Matt. Sunday dawned, and the weather could not have been more different, after an hour's postponement the race management team released the fleets, who all managed to make it to the starting area in a very light, fickle breeze. The sun came out and the wind died off completely, what a great sight it was to see the bright colours of the RS Tera and RS Feva fleets reflecting off the millpond like water. After rafting up around the ribs, the children were treated to a short set by DJ Robin, who skillfully balanced his MP3 player and the megaphone on one of the ribs to play some tunes. Eventually a very light breeze filled in across the reservoir and the race teams were able to run two further races. PRO Race 4 saw three new faces in the first three places with Jack Oakley of the Royal Hospital School and Graffham water SC taking line honours, followed by Nathan Lomas of Oxford SC in his first event in the PRO rig second, and Ossian Bracegirdle of Hayling Island Sailing Club in third. With what was now a short series, with one more race to go and one discard it was all down to the last race, with Henry, Henry and Harry all in contention. PRO Race 5 was the closest of them all with places changing regularly, down the last run there were 5 boats line abreast, with Henry Jameson just managing to get his nose in front before the last leeward mark, to take the win and the championships, followed home by Dylan Collingbourne of Burnham SC and Ossian. Overall top 3, Henry Jameson (6), Henry Collison (14), Andrew Frost (16). Race 4 of the SPORTS was a continuation of Saturdays results, with Ethan securing a solid race win, followed home by Matt, then Roscoe. As there were only to be 5 races with one discard, then Ethan had secured the overall win, but could he make it 5 out of 5? Race 5 of the SPORTS, you've guessed it, Ethan continued his string of wins to make it a full house, followed home by Tom, then Matt. Overall top 3, Ethan Miles (4), Roscoe Martin (11), Matt Taylor (11), Roscoe beating Matt on count back. Well done to all the sailors in very testing conditions. Next stop on the RS Tera circuit is the 2015 Start of Seasons at Northampton Sailing Club on 25th and 26th April. As part of its support of RS Sailing and the RS Class Associations, Volvo Car UK had a strong presence at the End of Seasons, putting on a variety of shore side activities, including a colouring competition, remote controlled cars and the Sail for Gold Game. Team Volvo sailor, Eilidh McIntyre made a special guest appearance on Sunday, providing youth competitors with an RS Feva rigging demonstration in the morning before heading out on the water to pass on her top tips. 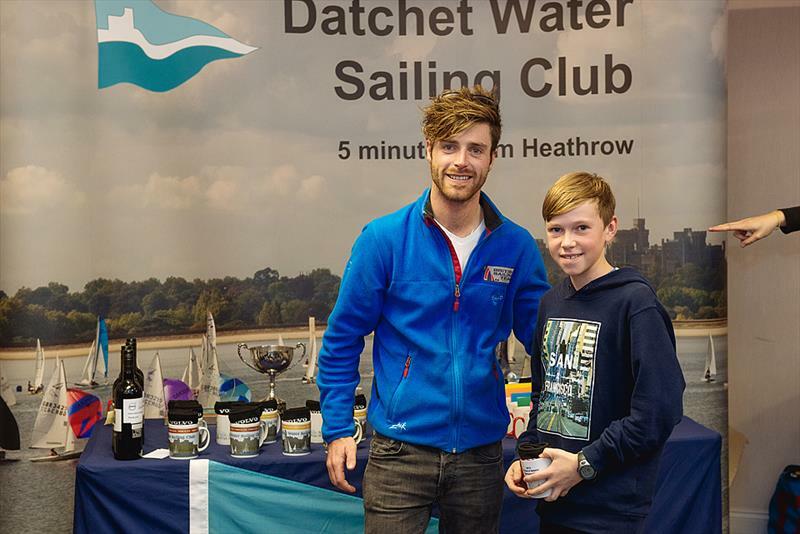 Eilidh said: "I have great memories from Datchet Water Sailing Club, I actually won my first ever event here in an RS Feva. I am proud to say I competed in the RS End of Seasons five times in an RS Feva and was really happy to attend this weekend and help celebrate twenty years of RS." The top British 470 sailor handed out the awards at the prize giving along with fellow Team Volvo sailor and London 2012 silver medallist Luke Patience who was competing at the event in the RS200 class. 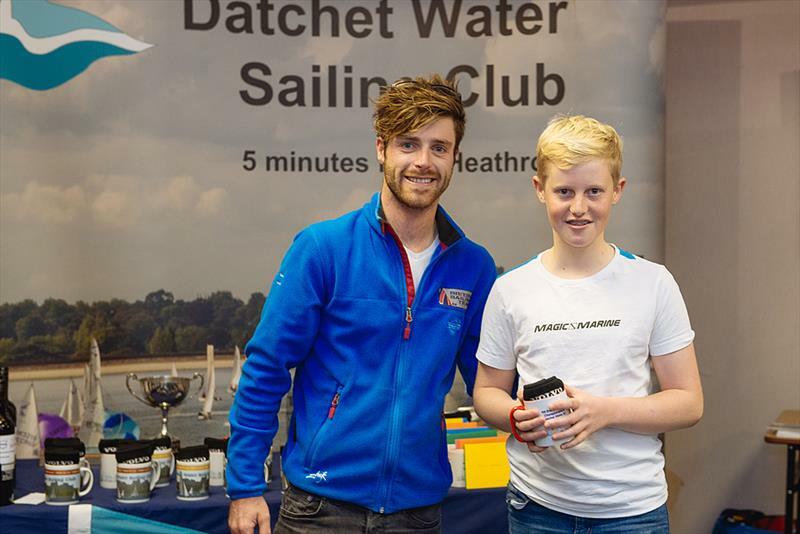 43 young sailors made up of 28 Sports and 15 Pros battled it out for the End of Seasons Championships title at Datchet Water SC and what a weekend it was we saw weather go from one extreme to another with wild winds on Saturday to next to nothing on Sunday!